Malaysia-based digital media companies Catcha Media and Says.com have announced a $20 million merger deal that will seem them combine to become one of the largest Internet advertising groups in the country. Catcha Media, which specialises in online advertising, digital content and e-commerce solutions, says it will merge two of its business units with Says.com — a national social news network — to take advantage of the growth in Internet usage and the rising adoption of new media services. Says.com is led by CEO and co-founder Khailee Ng, who is also an entrepreneur-in-residence for 500 Startups. 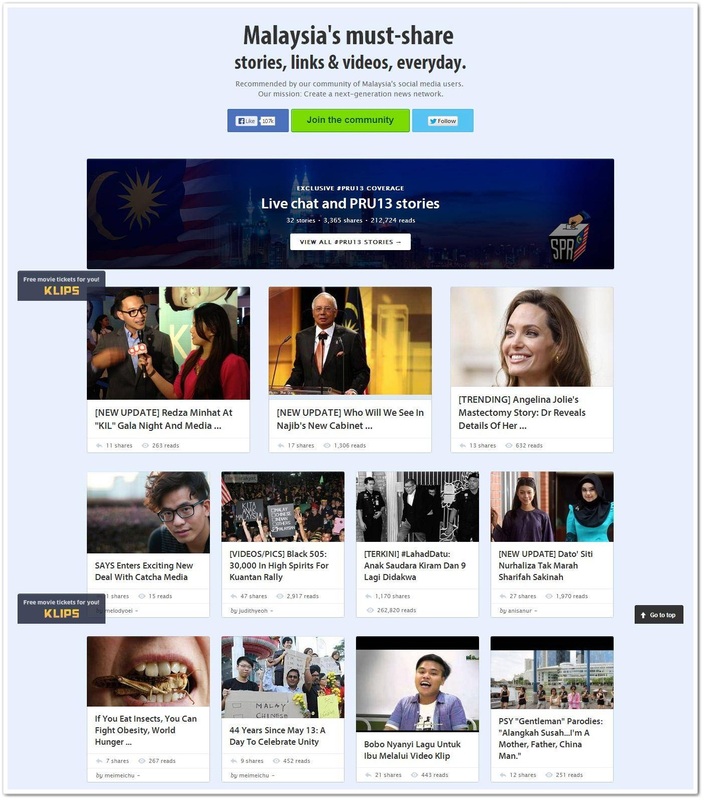 The site collects the latest news and buzz from across Malaysia using a crowdsourced and user curated model. Users are paid to publish advertiser-sponsored content, which sits along news and features on the site. Catcha Media says that it will merge Says.com with its digital advertising and publishing business, with a viewing to expanding the company across Southeast Asia. For now, in Malaysia, the two Catcha Media businesses together reach 9.78 million Internet users in the country each month, and account for 15 national print magazines. The group also manages Microsoft’s Web presence in Malaysia, including its popular MSN portal. This new company offers a tremendous opportunity to dominate the future of digital marketing in Malaysia by pairing two clear leaders in the space. We intend to expand this business regionally and the expected profitability of this merged entity should make us able to consider an IPO within the coming 12 months. The deal is the second exit for Ng, who sold Malaysia-based group-buying site Groupsmore to Groupon in January 2011, and he explains that Says is “already seeded” for official launch in Philippines, Singapore, and India. Advertisers are always excited to use SAYS to get their branded content shared in social media. In some cases the advertisers would request SAYS to create the content, which we would need to decline because of our laser focus and expertise in the distribution of social content instead. Whereas Catcha Publishing has always been in the business of creating custom content and authority content, in many cases, entire content channels and magazines for advertisers! They are also frequently requested to integrate social media centric solutions into the fold. So, the idea of combining these two things together was an exciting proposition for advertisers. This, when combined with the reach of advertising properties in MSN, Lowyat.net, and Skype… the more we talked, the more opportunities we saw. That’s when we knew that our shared vision for the future of advertising had to be acted upon. The use of digital media has rocketed in Southeast Asia over the past few years, with Indonesia, Malaysia, Thailand and other markets ranked among the world’s top users of Facebook, and most engaged nations on Twitter.